D1 - From the Col des Boeufs, start of our hike towards the “Lowlands” of Mafate along the Scout path. Stunning points of view on the Salazie and Mafate cirques. The path goes through forests, along crests, across ravines, before heading up to the hamlet of Ilet à Bourse, then Grand-Place. D2 - Hike towards Roche Plate in the Uplands of Mafate, via the îlet of Les Orangers. 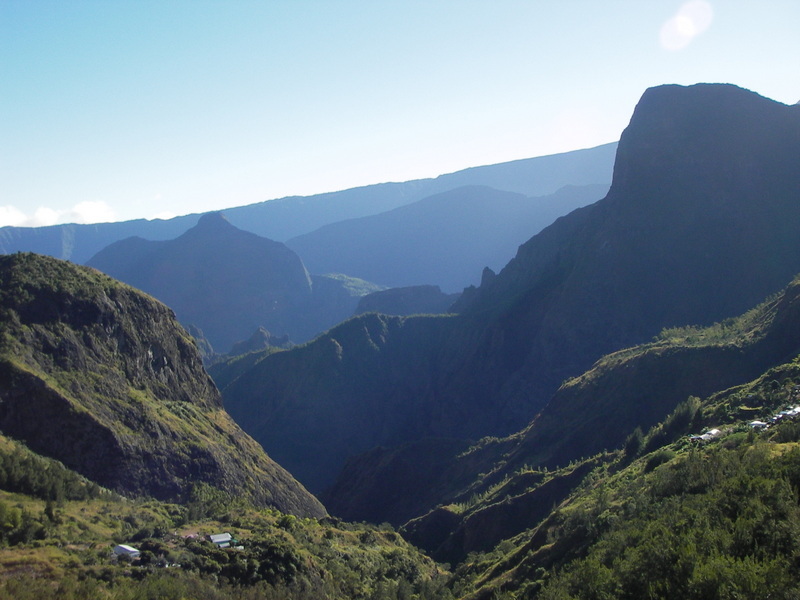 Stunning points of view on the Cirque of Mafate. D3 - We continue our trek towards the îlet of Marla, via the “mythical” Trois Roches site, a geological curiosity (sill). At the end of the afternoon, we chill out and enjoy the peaceful atmosphere of the hamlet. D4 - Hike back to Col des Boeufs, via the largest hamlet of the cirque, La Nouvelle, and the mysterious Plaine des Tamarins, with its tormented-shaped Tamarins des Hauts (Acacia endemic to Reunion Island).